Beauty and the beast. Unfortunately beauty is going in the opposite direction! 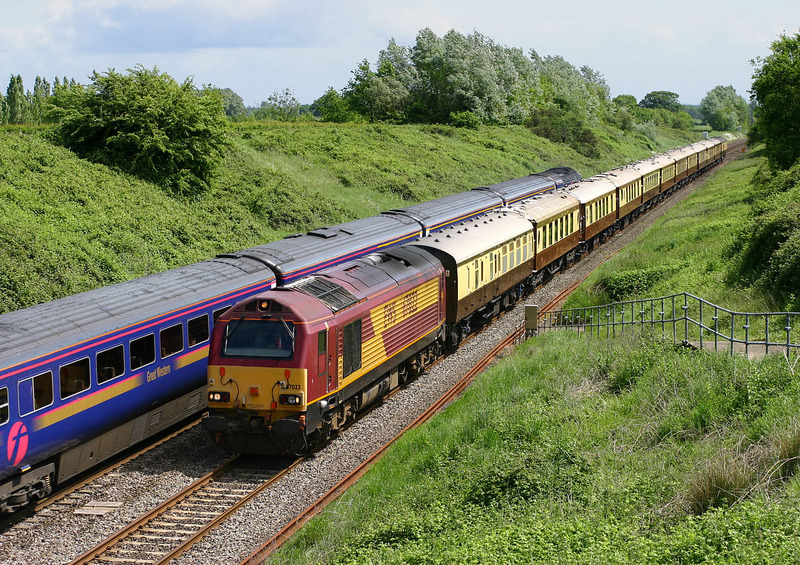 While the design icon that is the HST speeds towards London, ugly ducking 67022 heads west past Baulking with the 1Z45 Victoria to Worcester VSOE special on 19 May 2007.